Pakistan’s Hafiz Saeed is on the new list of recognized terrorists issued by United Nations Security Council. The UN Security Council has released a list of terrorists and organizations that act as Terrorist outfits. 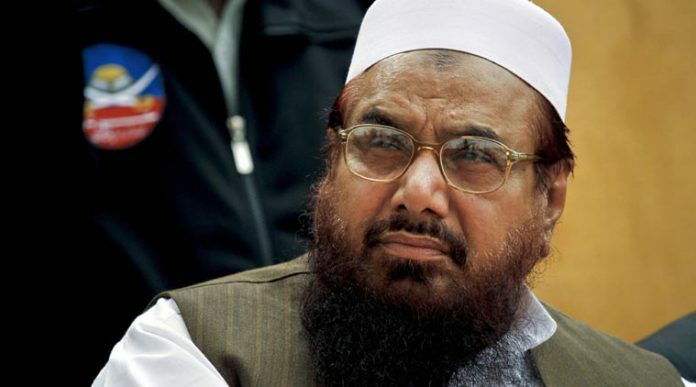 139 terrorists and organizations acting as terrorist outfits belong to Pakistan which include Hafiz Saeed, leader of banned organization Jamaat-ud-dawaa, and Lashkar-e-Taiba’s Zafar Iqbal, which is also a banned organization. The new list from the Security Council also includes the current leader of Al-Qaida, Ayman-al-Zawahri. They believe Ayman-al-Zawahri seems to be operating from the Afghan-Pak bordering areas. The list includes names of organizations already banned throughout Pakistan. The organizations that are already banned in Pakistan that are present in the list are: Tehreek-i-Taliban Pakistan, Jamat ul Ahrar, Lashkar-e-Jhangvi, Jaish-e-Mohammad, Harkat-ul-Mujahideen, Islamic Movement of Uzbekistan, Jamat-ud-Dawa, Falah-e-Insaniat Foundation, Al-Rashid Trust and Al-Akhtar Trust. Some of these organizations and trusts are linked to Hafiz Saeed and have been banned by the Government of Pakistan to operate freely in the country. The Government had announced to freeze all the charities linked to Hafiz Saeed in suspicions that he is funding terrorists. Petitions have been filed by Hafiz Saeed in court against seizure of his charities.